The south coast’s leading fresh produce port, Portico, has welcomed Richard Lewis as their new head of operations, as the company looks to launch significant redevelopment plans. With nearly 40 years of shipping experience, Richard Lewis has worked with major port operators and shipping lines. 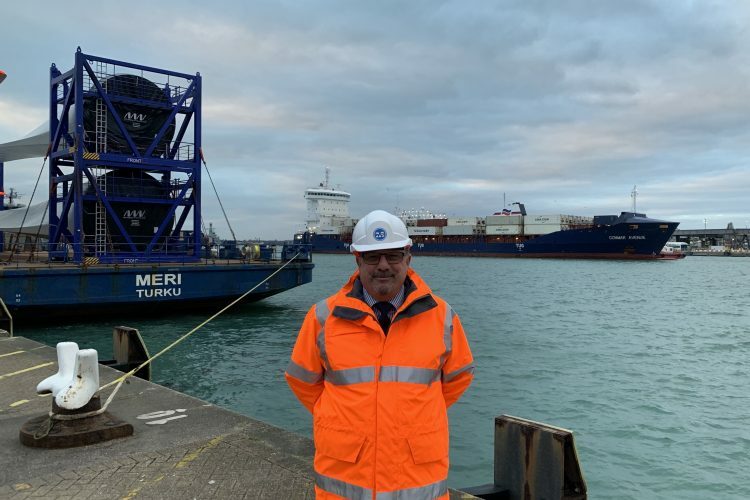 His recent position as general manager for Geest Line saw Richard responsible for all vessel scheduling, operations, terminal and logistics management and also joint negotiator for tropical produce contracts. Originally from South Wales Richard has worked across the country starting his career in the Merchant Navy before joining Geest Bananas at their ABP port facility. Since then he has taken up positions improving operations at both Barry and Southampton ports, developed good relationships with UK and EU receivers, and Dominican Republic banana exporters. Richard Lewis said: “I was really attracted to this role because of my enjoyment for port and vessel operations. I’ll be focusing on reviewing port operations and also assisting the commercial team with new clients.